Free Claim 30 Token + Back Item Ninja Saga get free event defend fire village chapter 2 the reward 30 token and back item, very happy and still wating, waiting chapter 3 the reward. 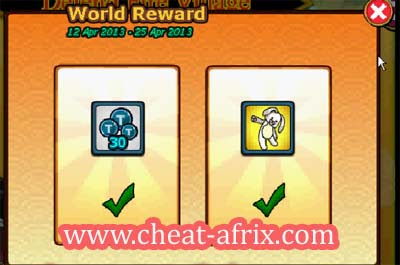 genjutsu bunny rampage + token 30 for free the effect for genjutsu: reduce attack damage by 45%. judul musik ny ap gan ? ?